So my laptop hasn't been working for the past few days and every time I go to turn it on all the lights (wireless button, power button, mute button, etc.) work and I can hear the fan working but the screen is completely black and the caps lock and num lock blink 3 times. I read online that the three blinks mean that the RAM needs to be reseated. I reseated the RAM as well as switched it with a working RAM but my computer still is not booting up. Is there anything I can do to fix my computer quickly on my own? I have to leave very soon for a trip and would like to bring my laptop with me. Not the answer you're looking for? 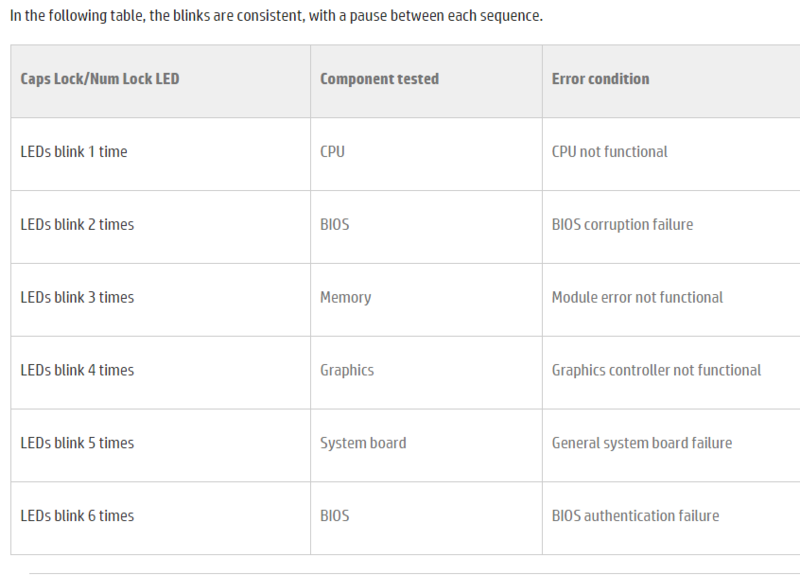 Browse other questions tagged laptop memory hardware-failure hp-elitebook or ask your own question.